Good morning and happy Monday. 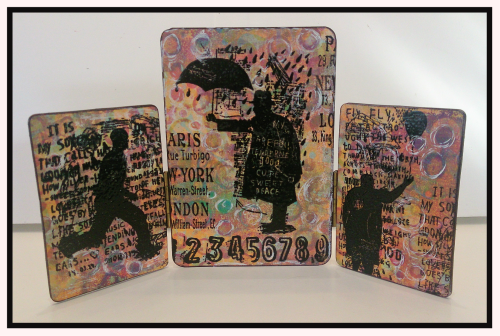 It's time for me to share my second project for the Country View Crafts 'written word' challenge, and this time I've made a triptych. Before I started crafting I'd never even heard of a triptych - and I still struggle to spell it, - should that be I or Y.... ah one of each! 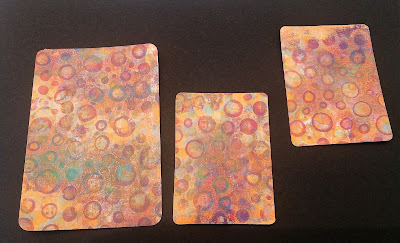 I started with one of the (very) rare gelli plate prints that I was happy with. 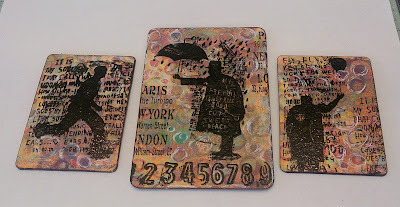 All of the paints are from the DecoArt Media range. 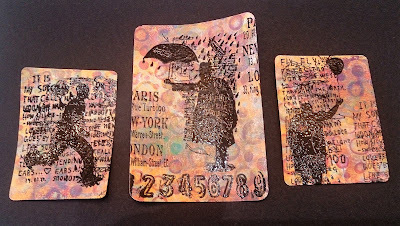 I cut the print with the Tim Holtz Bigz ATC die for two of the panels, then for the larger one I used the Eileen Hull Passport die. I love this die, it's just the perfect size for when you want something larger than an ATC, but not tooooo big! As we are wanting 'the written word' I chose a set of stamps with lots of them - this is the Tim Holtz Sideshow set, and it's just been stamped and embossed in shiny black. The beauty of the Passport die is that it's a scoreboard die so it will chomp through just about anything. I've used it to cut mount board for under my prints so they are much sturdier now. And to finish off I've added a couple of hinges so it's now free-standing. I really enjoyed making this, even though I got the usual 'what's it for' comment! There's still loads of time for you to join in with our challenge, and if you've already done so - join in again! 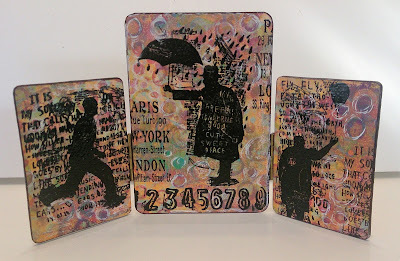 I'm also entering this into the Simon Says Stamp Monday challenge which is 'anything but a card', and the Craft Stamper TIMI June challenge. This is fabulous Sue ! Very striking ! 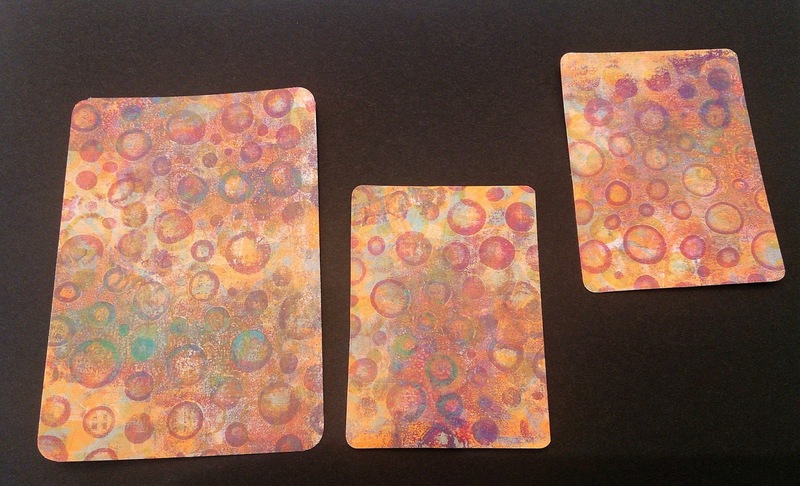 Most of my Gelli prints are awful! These look great and perfect for this kind of stamps. 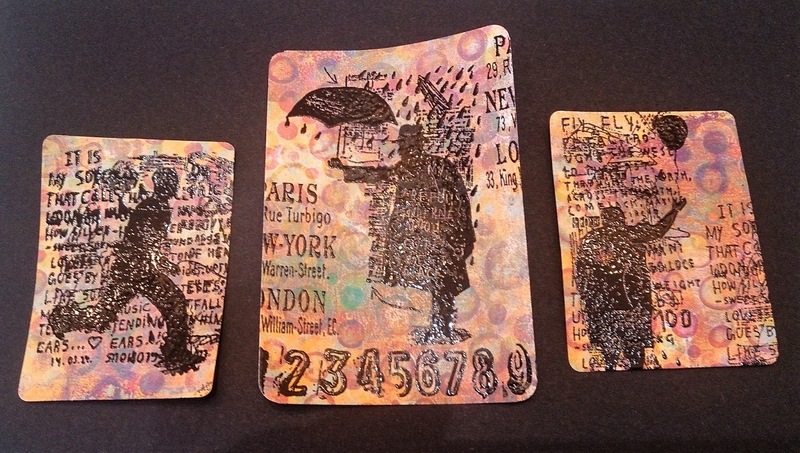 A lovely triptych, sue! I can't see my previous message, so let's try again teehee. I love this tryptich and your great backgrounds!! 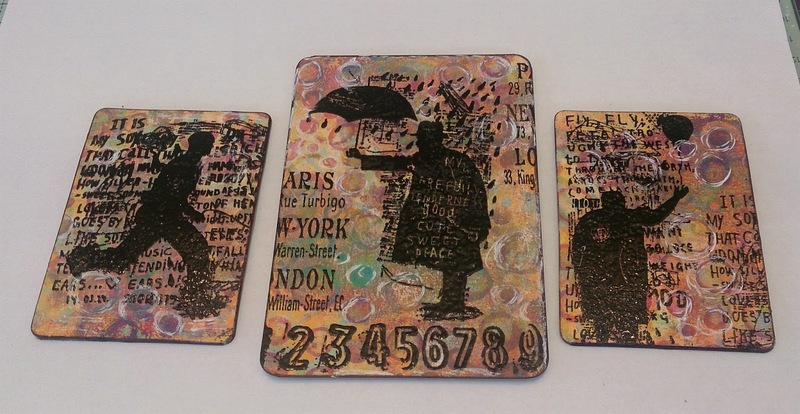 Scrumptious with these three men images stamped in complement. I don't have the Passport die... maybe useful, thus! :D Thanks Sue.